The two pedestrians who died following a road collision in Ballinasloe in Co Galway have been named locally as Deirdre Kilmartin and Maureen Dooley. Both were in their 50s and married with children. 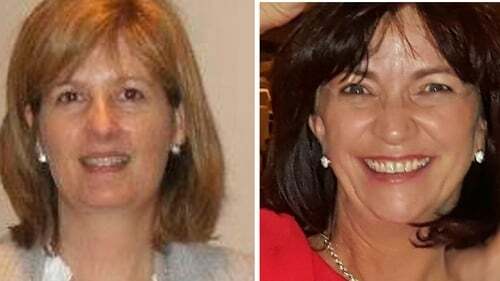 Maureen Dooley taught maths at the Marist College in Athlone and Deirdre Kilmartin worked at a veterinary health centre in Ballinasloe town. Both women were actively involved in their community and well known locally. The collision happened yesterday evening when the two friends were struck by a car while they were out walking on a footpath near Ballinasloe railway station at around 5.30pm. Both women sustained fatal injuries and were pronounced dead at the scene. Their bodies were taken to Portiuncula Hospital. It is reported that the drivers of the two cars were not seriously injured but are being treated for shock. The road was closed for several hours to allow for a forensic examination but it re-opened this afternoon.